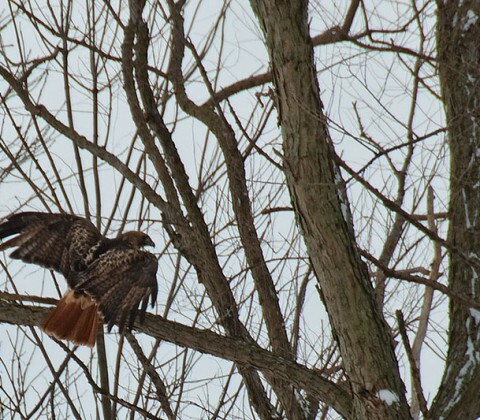 While visiting Caesar Creek State Park for the Maple Syrup weekend, spotted this Red-tailed hawk feasting on a raccoon by the side of the road as we left the park. 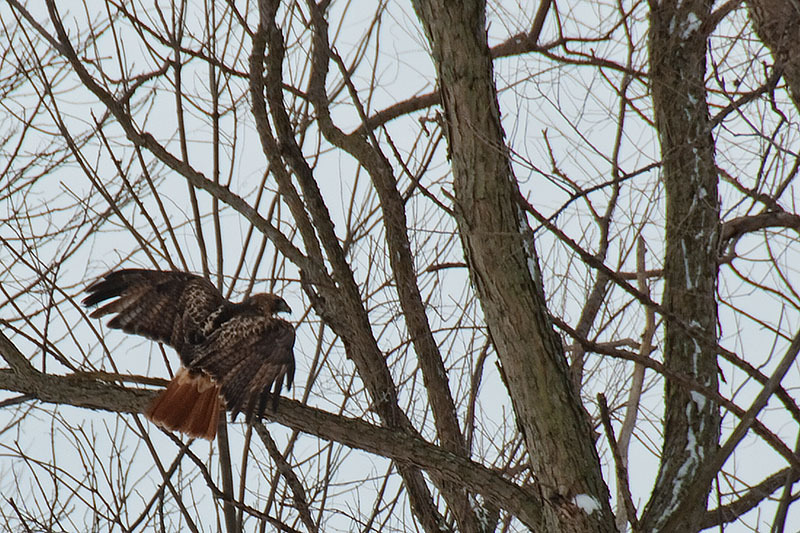 Not too pleased with my interrupting the meal, it flew off into a nearby tree where another hawk was sitting. Not wanting to become dessert, snapped a few shots and got back in the car to leave them to their lunch. The Red-tailed Hawk has significance in Native American culture. Its feathers are considered sacred by some tribes, and are used in religious ceremonies. It is commonly known as the “chickenhawk,” though it rarely preys on chickens.